Nanette is an RN with a bachelor's degree in Nursing and serves on the advisory board for the Thomas Kinkade Company. Nanette and Thomas Kinkade were childhood sweethearts and were married for 30 years. She could not be happier working with her daughters every day to continue the family legacy and help others through art. Nanette is also an avid cyclist, yogi, gardener and professional mom. It's a really funny story. When I was 12 years old, my family moved into a new home in Thomas's neighborhood. He was the paper boy and he came to our house to solicit the Sacramento Bee. I had just put on my new bikini to go swimming. My neighbor was coming over to get me so when the doorbell rang I thought it was her. I opened the door with a "ta da" to show off my new purchase. I was surprised to see Thom and screamed and hid behind the door. Next, we laughed and I explained my dynamic entrance. We became best friends from then on. It has been a dream of Merritt’s to work with her family and act on their passion to give back to those in need. 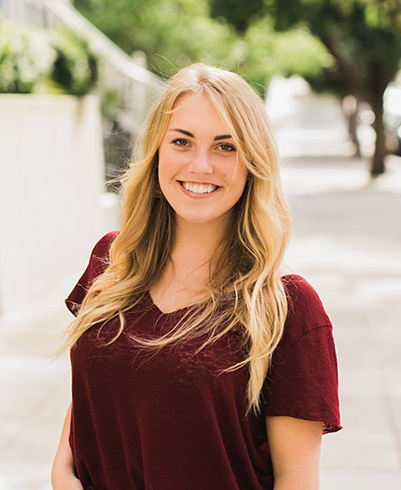 Merritt currently lives in Los Gatos, CA and spends her free time outdoor adventuring and throwing dinner parties with her friends. As a child, what was your favorite family activity? We used to play this game called “Hop on Pop” (inspired by the Dr. Suess book). My dad would lay flat on the ground and we’d put 3 pillows on his belly to cushion the blow. My sisters and I would find the tallest piece of furniture to launch ourselves from, such as the back of our couch or my dad’s reading chair, and then we’d go crashing on to our landing pad. He’d always howl and pretend like we’d really hurt him, but then he’d quickly snap back and say "Ok kids, who wants to go again!" 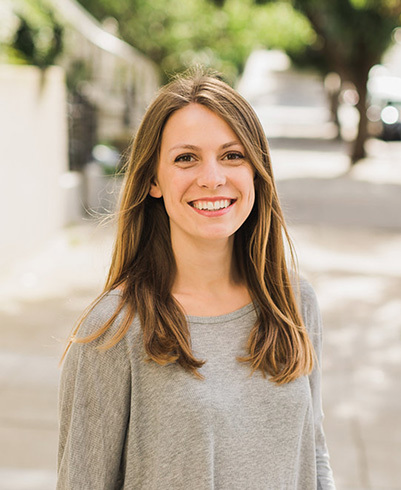 Chandler currently lives in San Francisco, CA, and when she is not in a yoga class, you can find her at the Farmer’s Market or trying a new restaurant in the city. Where is your favorite place your family traveled as a child? My favorite place that my family travelled as a child would be an R.V. trip the 6 of us took to Yosemite when I was about 11 years old. We all got to bunk up together and every night we made s'mores and Jiffy Pop over an open fire. It was a blast! Winsor is attending the University of San Francisco. Winsor is a gifted artist and her desire is to help others through what she creates. Winsor has become well known amongst family and friends for her beautiful landscape renderings and clever “Sunday Punday” sketches which can be seen on instagram at @winsorkinkadeart. Winsor is currently doing a semester abroad in Santiago, Chile to implement an art program and teach art classes at a school for at risk youth. What did your Dad teach you about art? My dad taught me so many things about art. He taught me about the creation of art, introduced me to classic artists that he admired, and demonstrated daily his dedication to his own work. The love for art that he poured out every moment was contagious, and that is something that, perhaps without his knowing, I am the most grateful to have learned from him. Everett Kinkade is an excellent supporter of The Kinkade Family Foundation. She is currently attending Santa Clara University as a freshman studying Environmental Science. One day, Evie hopes to work in sustainable agriculture and become an outdoor educator. What was your favorite thing to do with your Dad? My favorite thing to do with my dad was help him clean his paintbrushes. After dinner, we would head over to his studio and work together to clean a big pile of paintbrushes he used that day. I thought it was so fun being able to have one on one time while helping him out.